In my parents house there is a wooden spoon. It is completely unremarkable, has no brand to speak of and is looking a little worse for wear, but it is one of my favourite products in our home. For our newest module, Material & Emotional Values, we have been tasked with researching the history behind objects, their materials and associated narratives and our visceral reactions to them. I started by looking at objects that reflect my personal history, and the wooden spoon quickly came to mind. Home cooking in important in my family and my sister and I were taught to cook by our mum from a young age. The kitchen has always formed the heart of our home; whether we spend time there cooking, or doing work at the kitchen table, it is the main congregation point for my family in any house we have lived in. In the same way that our warped little old oak kitchen table is fondly remember by my sister and I (and we both try to shotgun it for future houses), this wooden spoon symbolises the family bond based around our kitchen - it is a personal emotional value that this humble object reflects. As part of the module, we were asked to find modern products that carry a similar emotional value to what we had chosen. 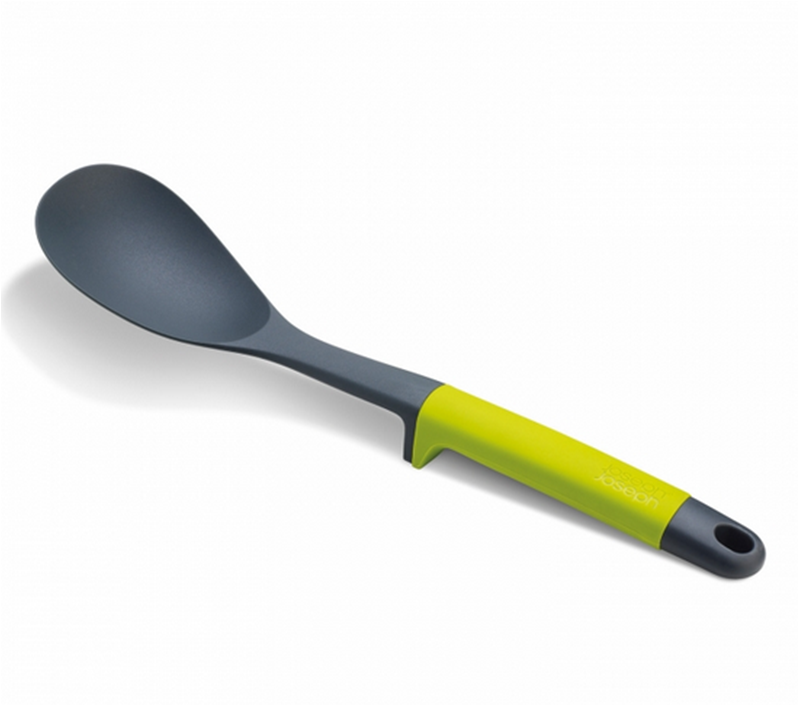 I came across the Motherspoon concept by Okan Akgöl. This concept was produced for the Electrolux future homes competition in 2012. The idea behind it is that you and a family member (for example your mother) each have a spoon. As your mother cooks, she puts the spoon in the food and it "tastes" the ingredients, storing them as a recipe. When it is returned to it's cradle, it transfers the recipe to your spoon, so if you were to re-create the recipe, it could tell you what to change to make it "just how mother used to make it". 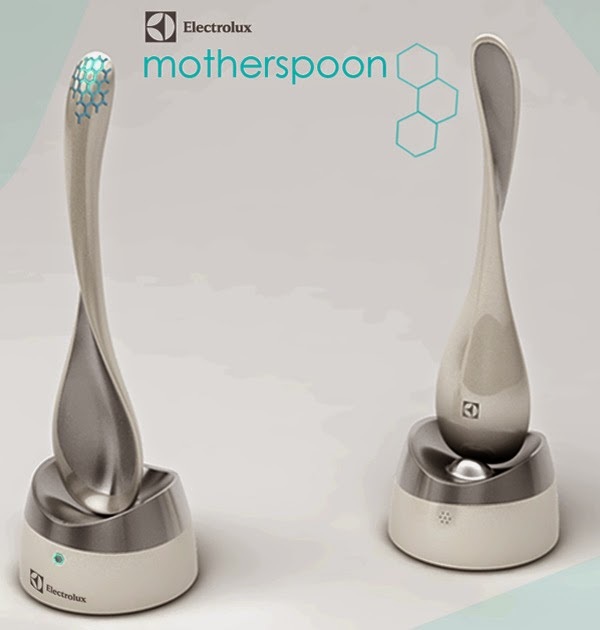 The theory behind the Motherspoon is similar to the narrative of my wooden spoon, but the product is made of some form of metal and doesn't take a traditional spoon shape, which gives it a sterile, surgical appearance. This emphasises the importance of material in a product. Another example would be this serving spoon by Joseph Joseph. Though they are renowned for clever kitchenalia, the plastic and silicone material holds no emotive value. Yes, it is heatproof and easy to clean, but so is a wooden spoon. To me, the emotional value the wooden spoon has is heightened by the fact that it is made out of wood. Every time you interact with the spoon, the wood it is made from changes; it absorbs colour from the sauces you make, it burns when you accidentally leave it in a hot frying pan, it scratches when you scrub it while cleaning. The material it's made from visually represents the times you have used the spoon and that is why it is such a powerful symbol and holds such emotional value. In this case, the material holds just as much narrative as the form of the object itself.